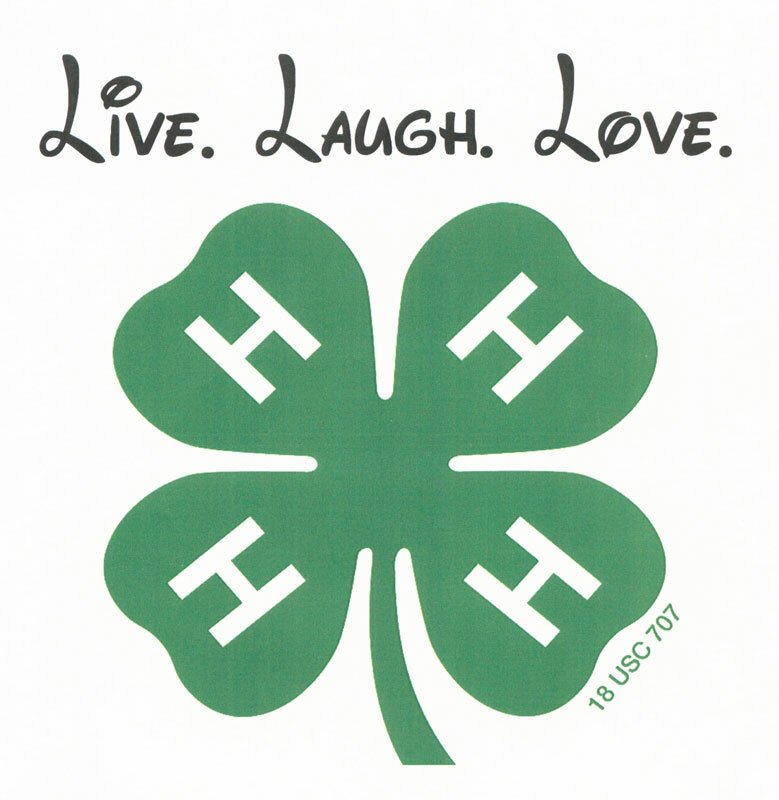 The 4-H Fair is once again looking for artwork to promote this year's Fair. View contest details. 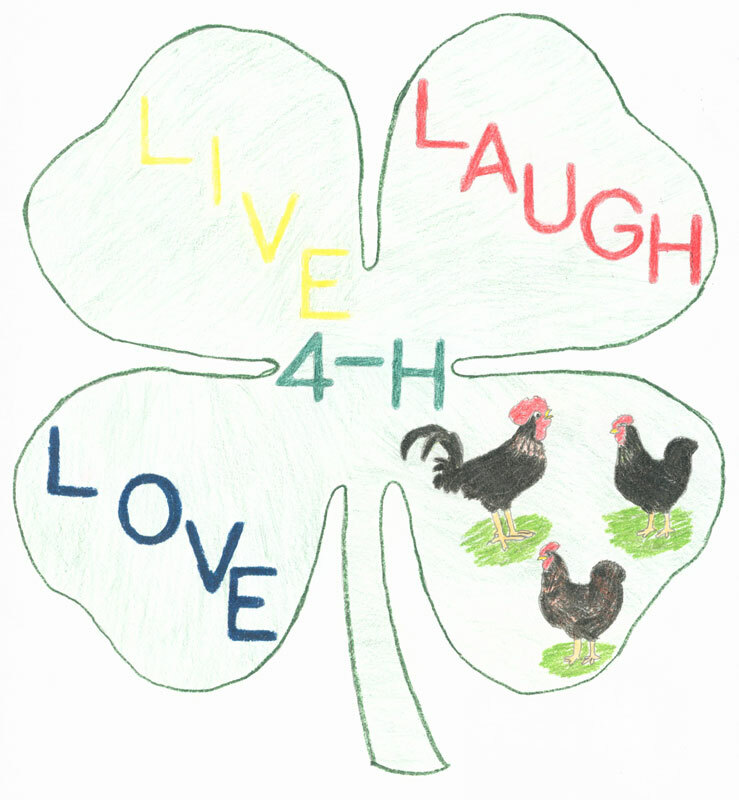 Drawing by Abigail Denison, clover with roosters. 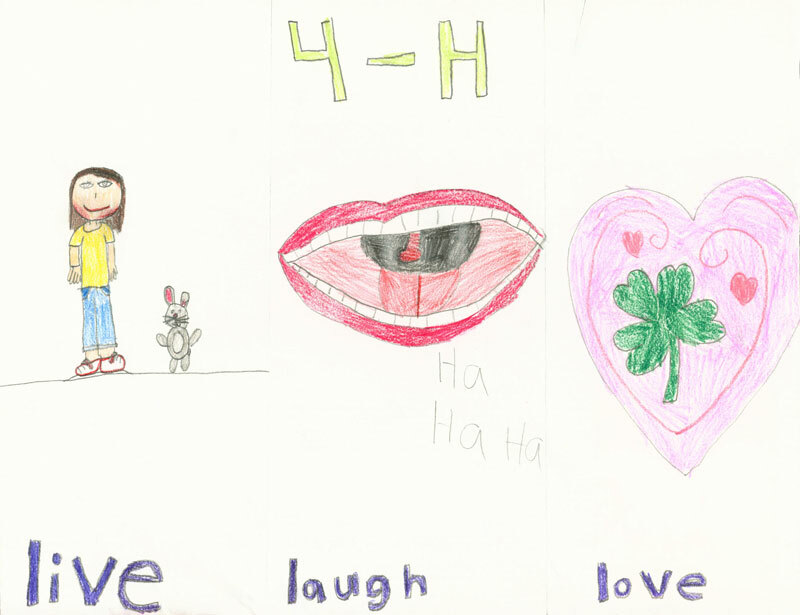 Drawing by Chloe Denison, laughter and heart. 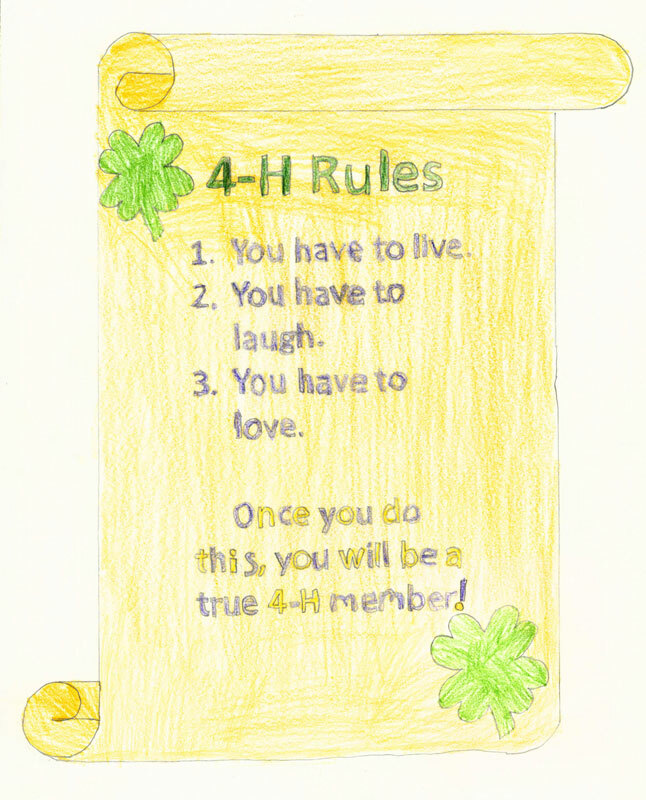 Drawing by Chloe Denison, 4-H rules. 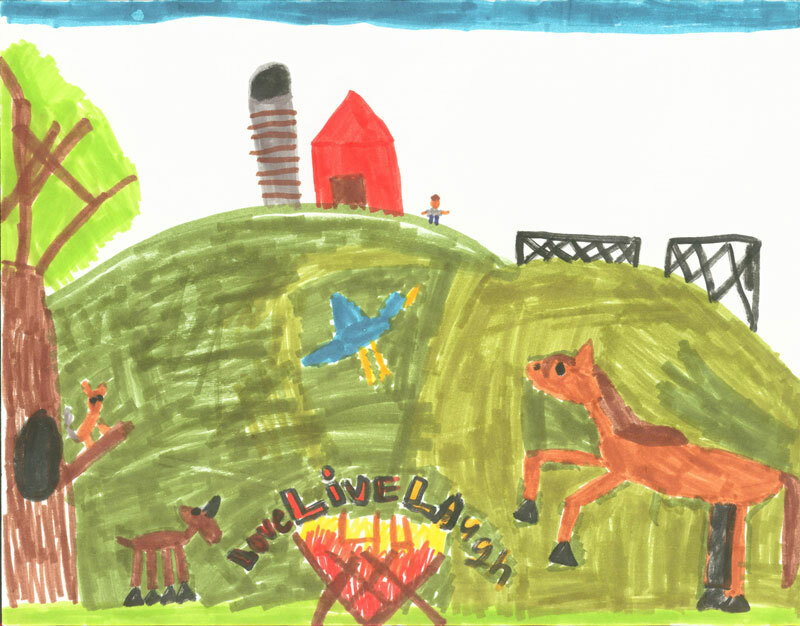 Drawing by Jamie House, green hillside. 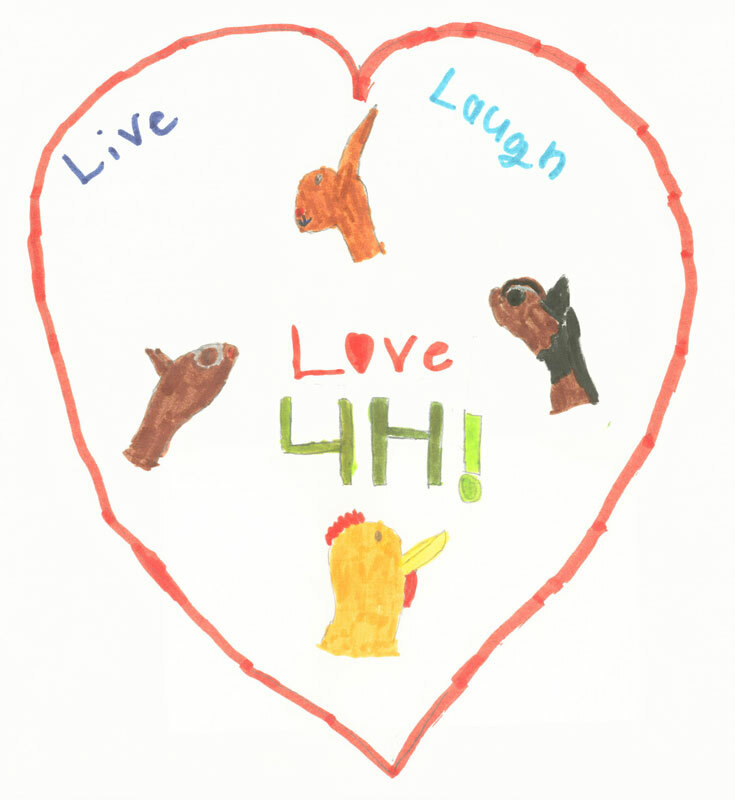 Drawing by Jamie House, heart with animals. Art by Mikayla Alger, clover with script.